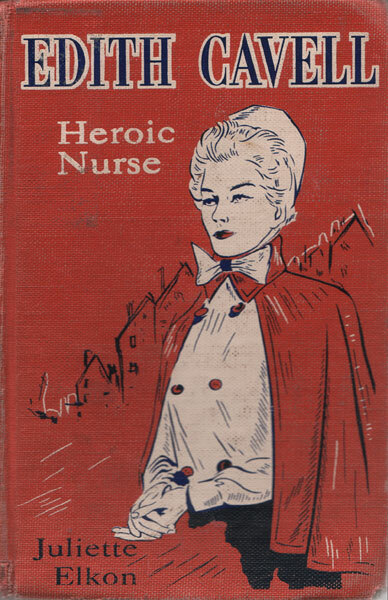 Here is the compassionate story of a frail but determined nurse who pitted her wits against the German army occupying Brussels and helped hundreds of Allied soldiers escape war-torn Belgium. For seven nerve-wracking months Edith Cavell sheltered fugitives in her nursing home, continuing her dangerous work even though she realized she was being watched by the secret police. Convicted of high treason, she gave her life for humanity and became the greatest heroine of the first World War. Edith Cavell’s story began quietly in an English vicarage where she was raised by a loving mother and a strict puritanical father. At twenty-five she went to Belgium and became governess in an aristocratic French family. Though she enjoyed teaching, she was restless, driven by the dream of helping the suffering, the hurt, the needy. Back in England she realized that dream in nursing, rising from an obscure probationer to superintendent of various hospitals in the most wretched slums of London. Belgian doctors, hearing of her brilliant work, summoned Miss Cavell to Brussels where she became matron of the first nursing school ever to be opened in that country. She had difficulty in obtaining nurses, for such work was considered shocking for “nice” women, and when she finally formed a staff, servants were too contemptuous to wait upon them. Patiently, tactfully, Edith Cavell battled prejudice — and won, rising to the very heights of her profession. Then Germany declared war, invaded Belgium and occupied Brussels. Allied soldiers, wounded or separated from their regiments, were shot on sight. A secret organization was formed to help them escape into Holland — and Edith Cavell, joining it, took her first long step toward doom and immortality. Edith Cavell was executed on a bleak morning in 1915. In 1919 services were held for her in Westminster Abbey in the presence of the King and Queen, and her body was laid to rest in Norwich Abbey. This is the many-splendored story of an indomitable character’s supreme dedication to an ideal — a story of inspiration, espionage, danger and devotion. Auburn-haired Ellen had broken her engagement to Dr. Richard Creighton, and she couldn’t see herself remaining on at City Hospital in Chicago, where she would be seeing him every day. Her priest told her of a mission in Africa where Father Clousseau had asked for assistance, and Ellen, who had thought of herself as the missionary type since childhood, was interested at once. The pay was almost nothing, but the job offered a chance to see a little of the world, the priest went on, and, at the same time, she would be contributing something of real value to mankind. 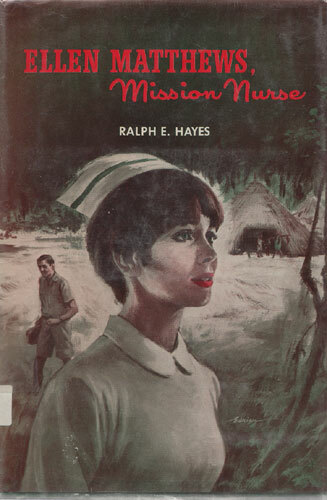 Mr. Hayes’s story of a nurse who went to Africa with a troubled heart and found peace there contains the very essence of the charm of Africa and a primitive civilization.